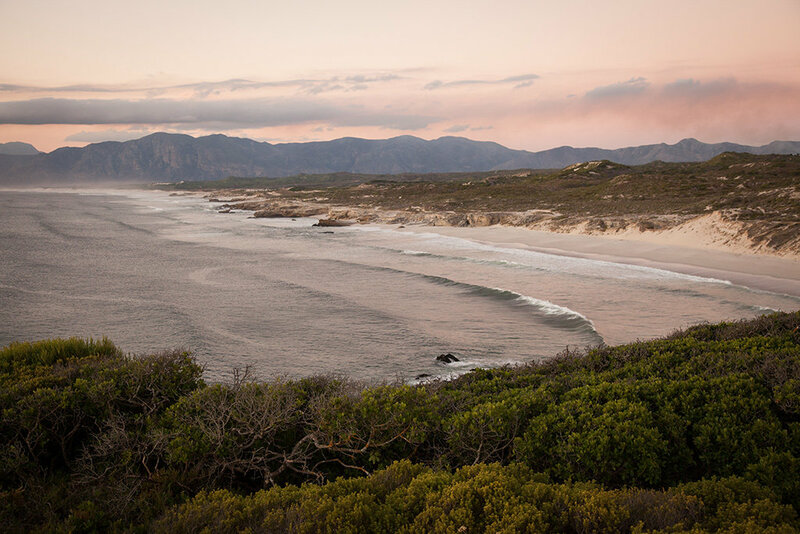 Please complete the form below and your enquiry will be sent directly to Grootbos Private Nature Reserve via email. 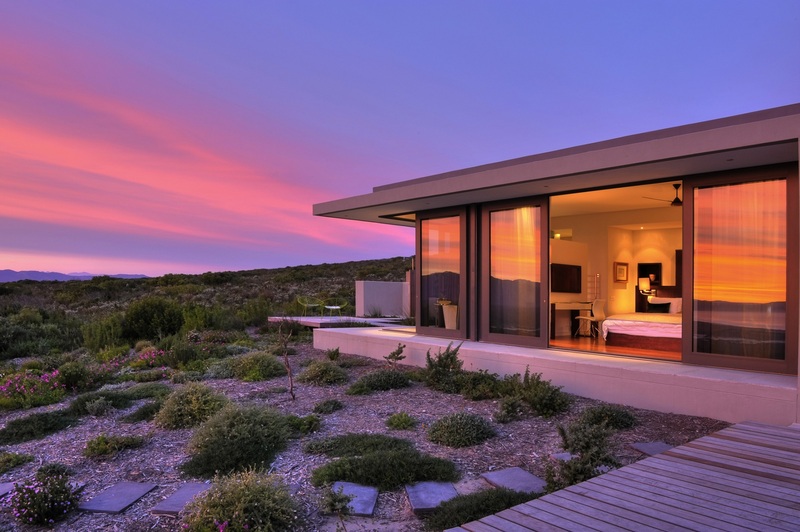 Your enquiry has been sent to Grootbos Private Nature Reserve. 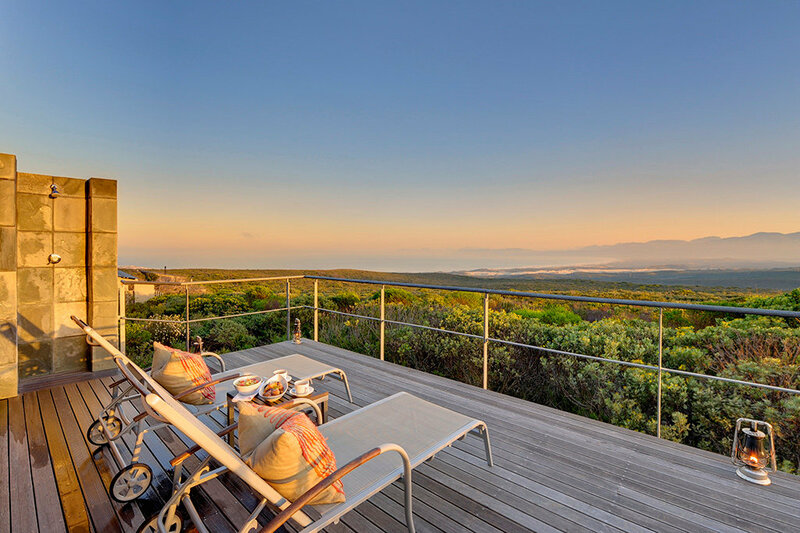 With breathtaking panoramic views of mountain and sea, the Grootbos Private Nature Reserve is a luxurious pristine paradise showcasing the splendour of the Cape Floral Kingdom and the incredible marine life of the southern tip of Africa. 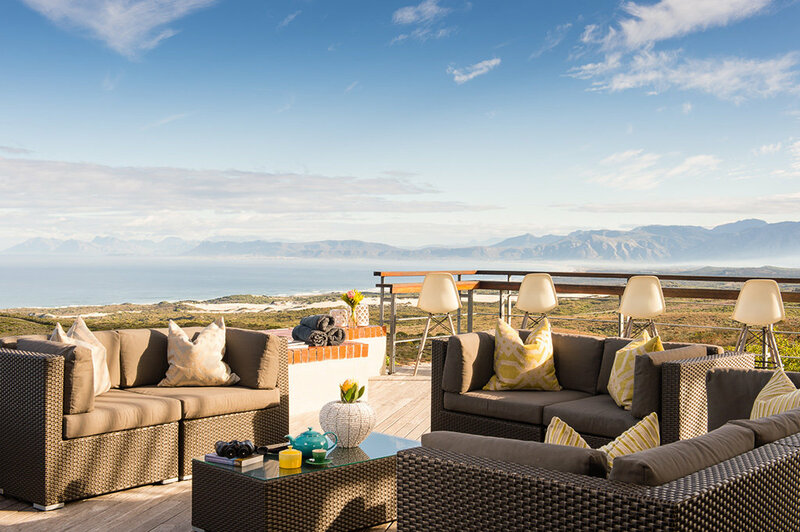 Situated 2 hours from Cape Town, Grootbos is the perfect central base to discover all the magnificent attractions of the Cape, offering an extensive variety of guided experiences and luxurious facilities, almost all of which are included in your stay. 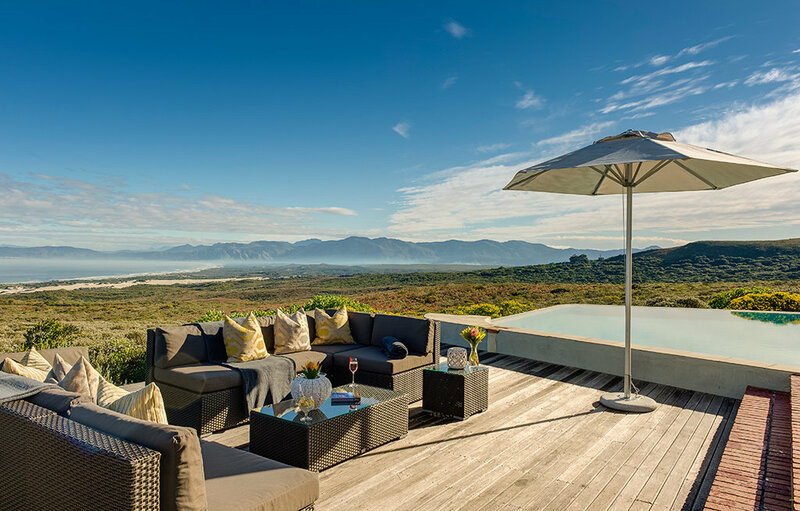 Beyond luxury and inspiring experiences, Grootbos is an award-winning pioneer in sustainable tourism, practising a core philosophy of conservation linked with social development. 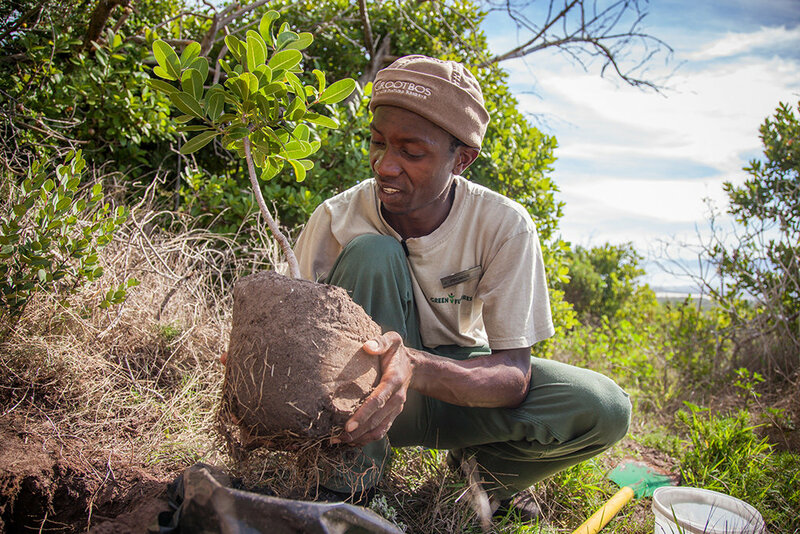 We call it Progressive Tourism and we invite you to be a part of it. 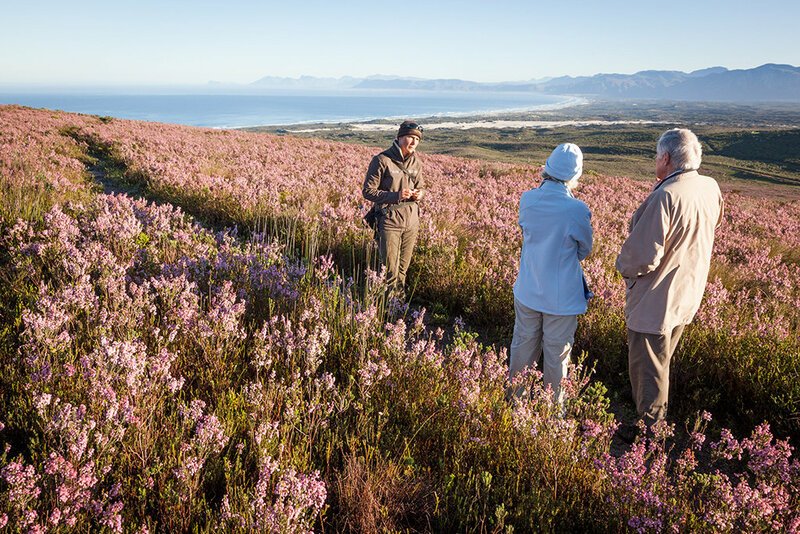 Every feature of the Grootbos experience has been crafted to facilitate and accentuate your discovery of this unique and wondrous destination. 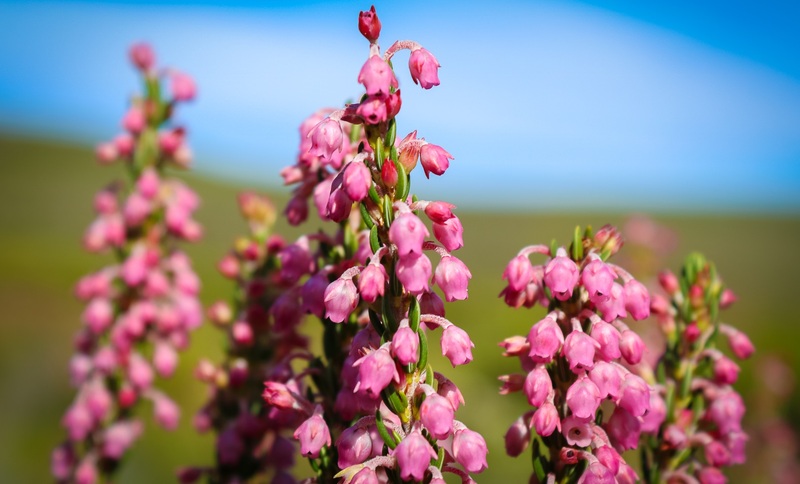 From the mighty and majestic Southern Right Whales of Walker Bay to the blossoming brilliance of the Cape Floral Kingdom, it is our endeavour to immerse you in all the abundant treasures that the Southern Tip of Africa has to offer. 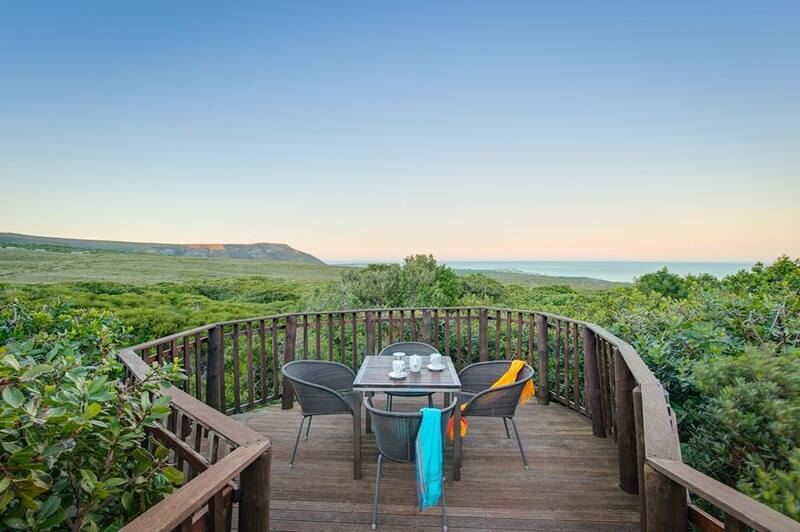 Grootbos is ideally positioned and equipped to offer our guests arguably the best whale watching tours in the world. 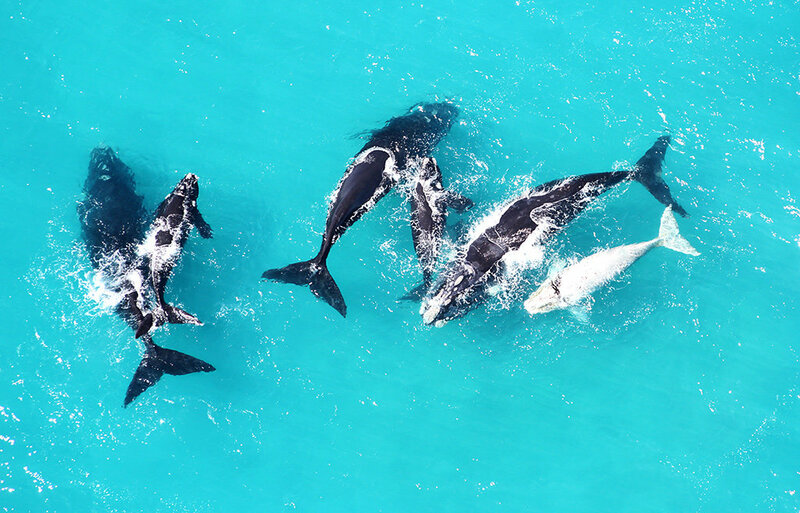 Every year from June to December hundreds of Southern Right Whales choose Walker Bay as their home for the mating season. Nothing can prepare you for the thrill and wonder of a close encounter with the most awesome predator of the ocean, the Great White Shark. Meeting this majestic beast eye-to-eye will leave you on a high for days and change your perception of sharks forever. 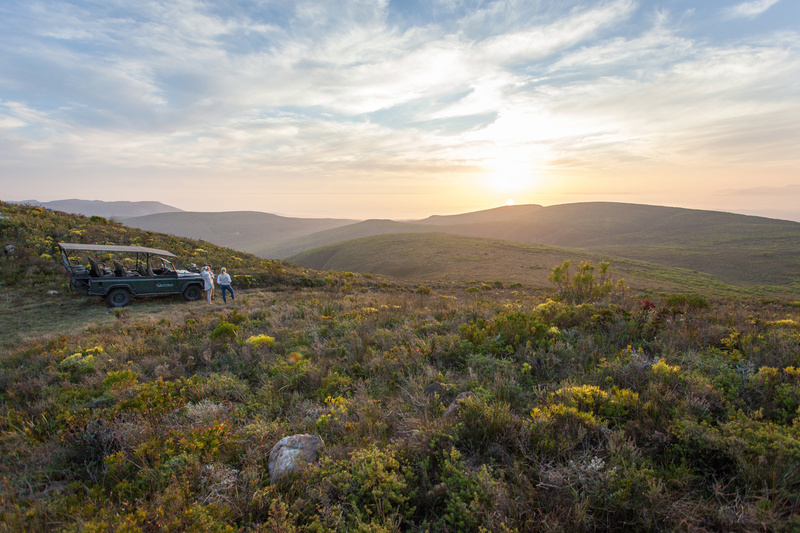 With over 765 flower species, 6 of which were discovered at Grootbos, and over 2500 hectares of pristine wilderness, the 4x4 Flower Safari is the perfect way to discover the scale and splendour of the Grootbos Private Nature Reserve. 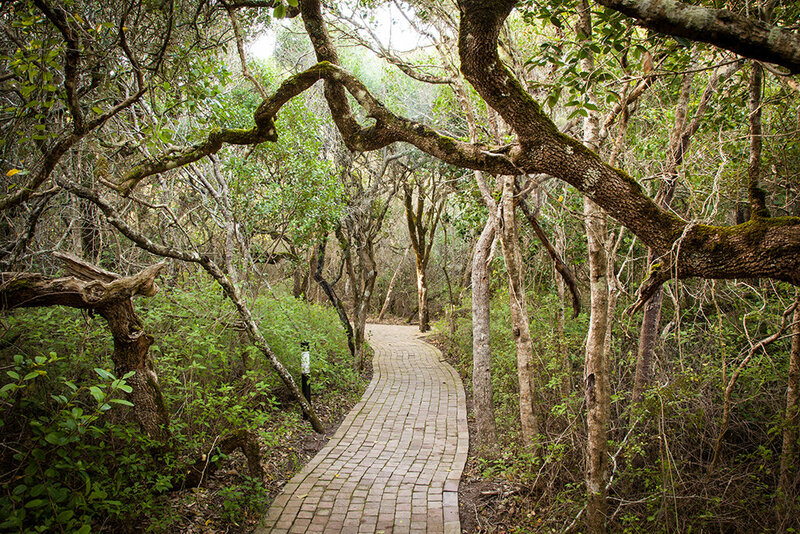 There is no better way to experience the incredible diversity of fauna and flora at Grootbos than by walking along one of our several well-marked trails. 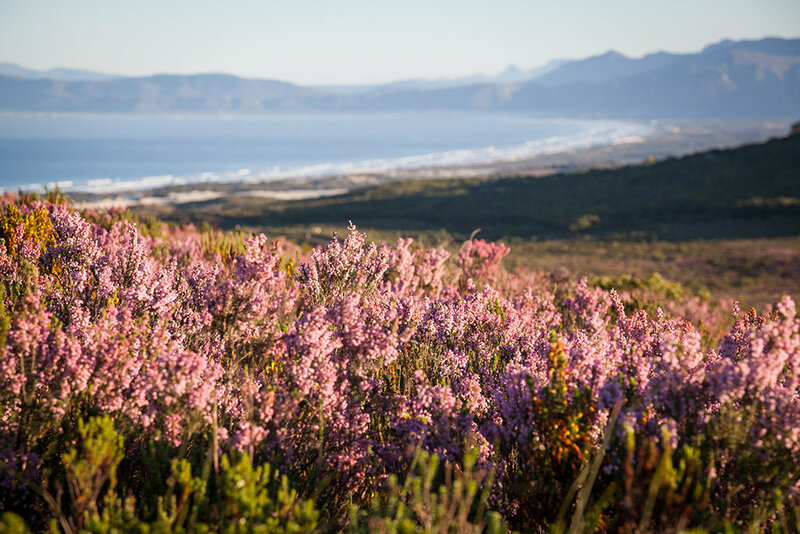 From an enchanting meander through the ancient Milkwood forests to an epic hike through the fynbos-clad mountains, there is a trail to suit every interest and fitness level. 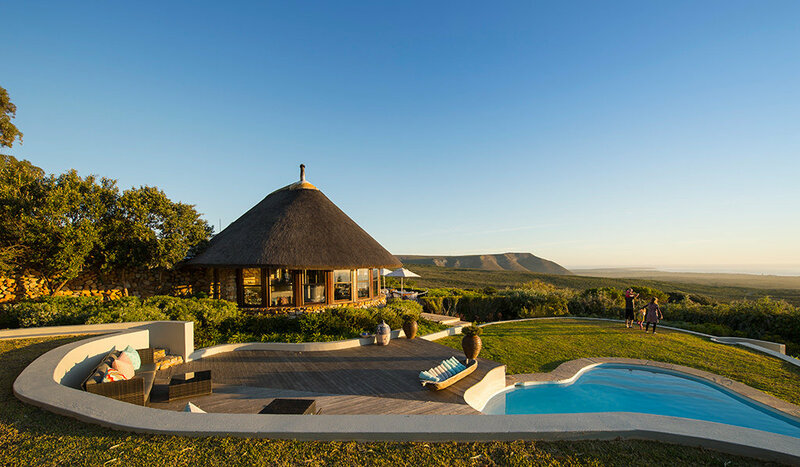 Our guides know exactly where to take you for the best swimming, tanning, walking, whale watching and several other oceanic experiences on offer. 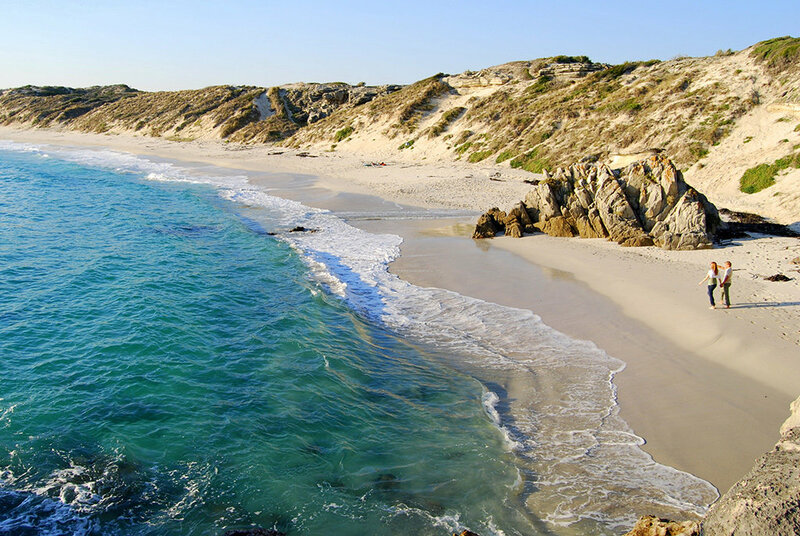 We’ll transport you to and from the beach and provide you with a picnic lunch and all the beach accessories you need to enjoy your day in the sun. 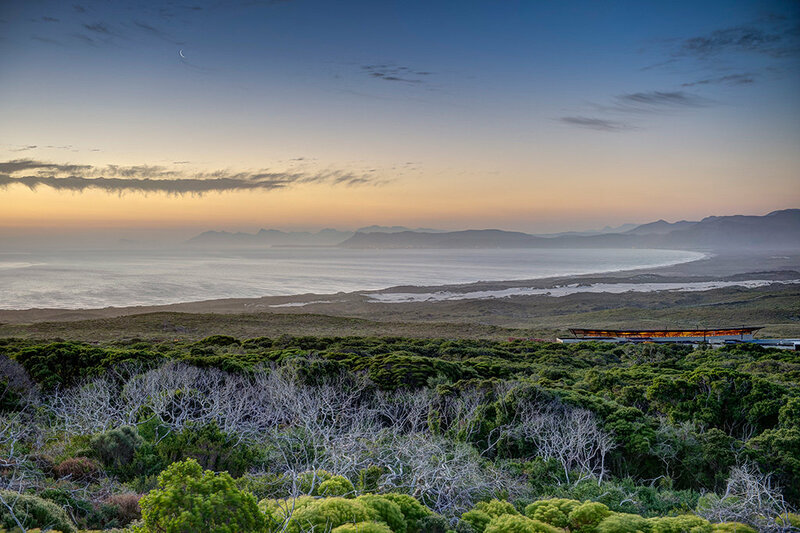 Join Grootbos on a guided tour to discover the wonder and mystery of the ancient coastal caves along the rocky shores of De Kelders. 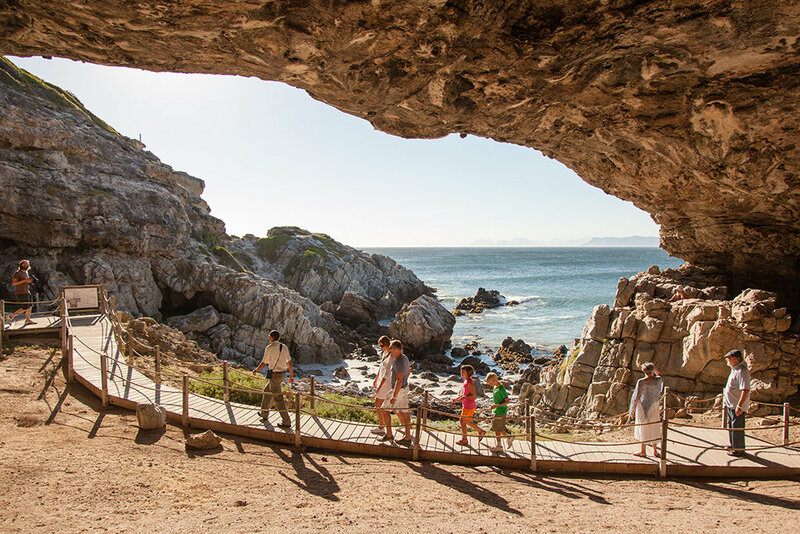 Journey back in time to a period when Stone Age people and Khoi bushman called these caves their home. 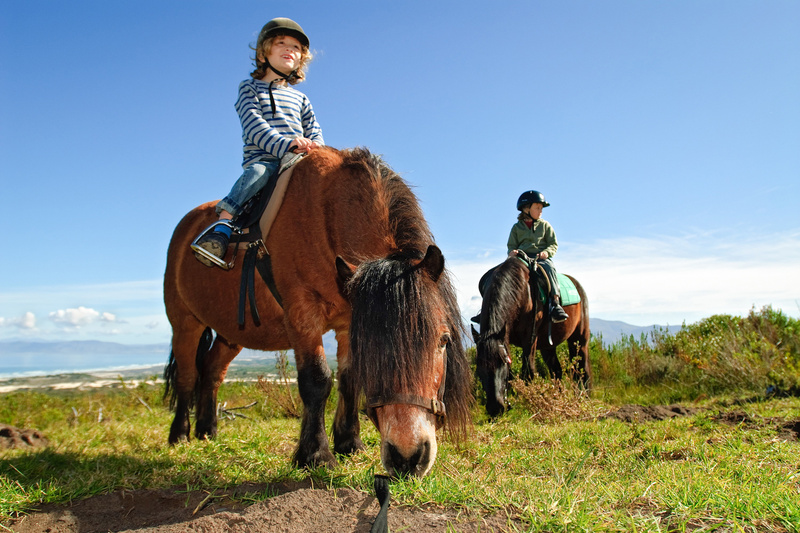 The 2500-hectare Grootbos Reserve provides excellent opportunities for horse riding, with 20 well-trained horses and experienced instructors that cater for all levels of riding experience. 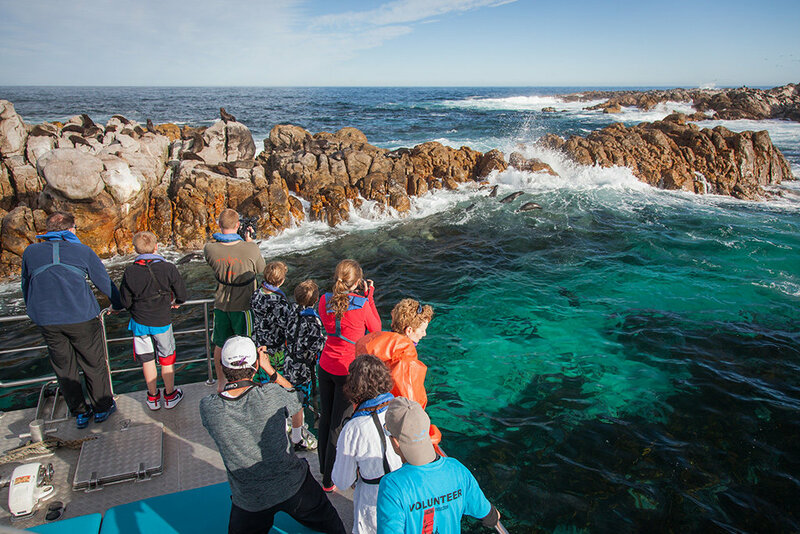 So you’ve seen the lions, rhinos and other beautiful wildlife of the savannah; now brace yourself for the Marine Big 5: whales, sharks, dolphins, seals and penguins! 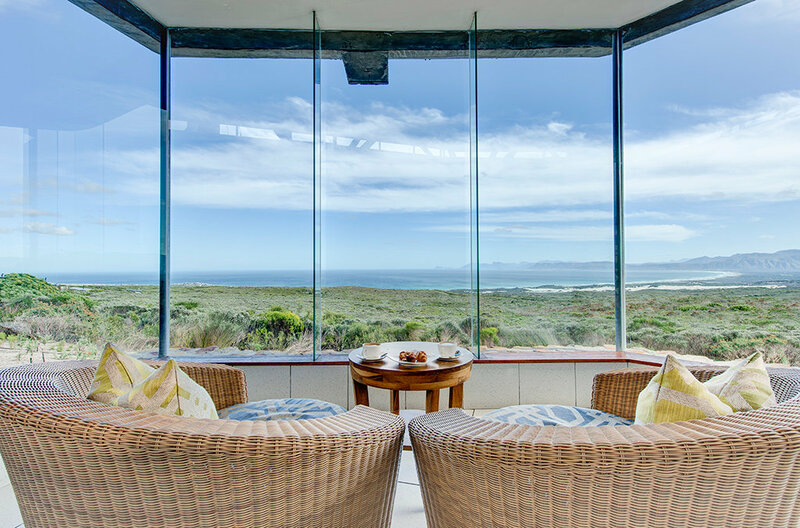 Gansbaai is one of the only places in the world that can offer this extensive range of marine wildlife and Grootbos, situated right on the doorstep of this aquatic wonderland, is perfectly positioned to be your host and guide. Take to the sky for a unique perspective of this beautiful coastal region. 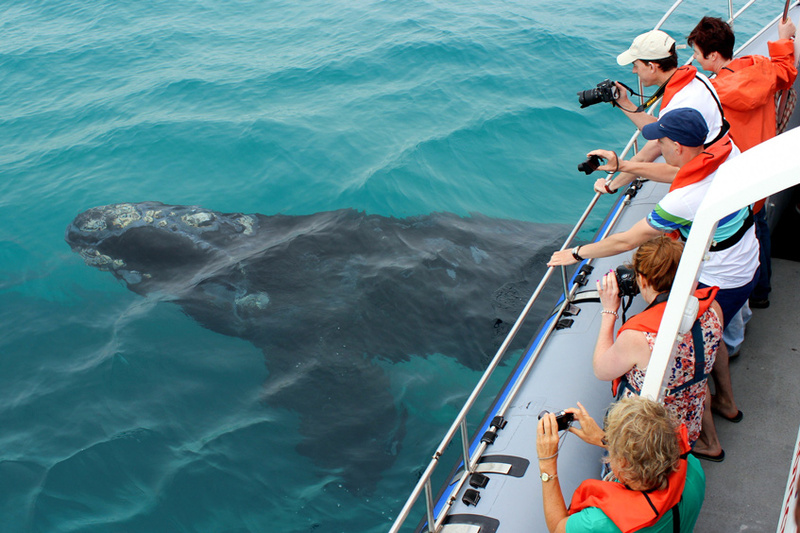 View mountains, vineyards, shipwrecks, whales and even sharks like never before. 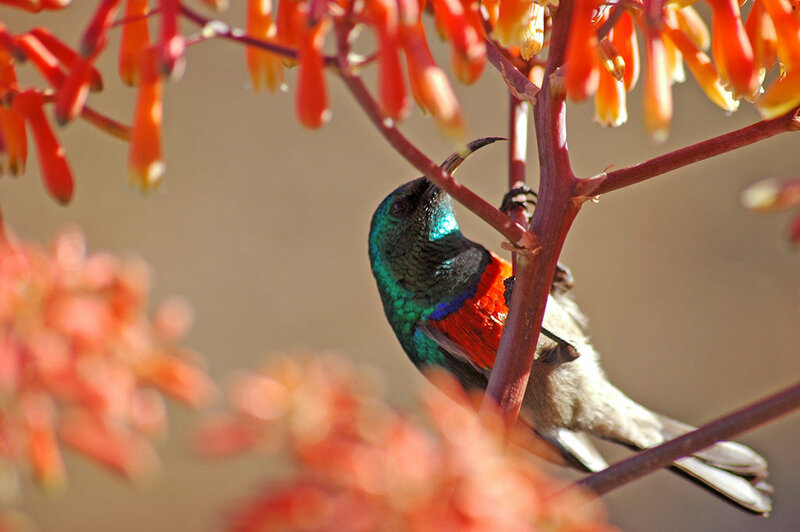 Whether you’re a serious birder or if you just enjoy spending time in nature, our knowledgeable guides are geared to give you an engaging presentation of the winged wonders that enliven our skies and flora – from a leisurely stroll through the fynbos to a dedicated birding tour. 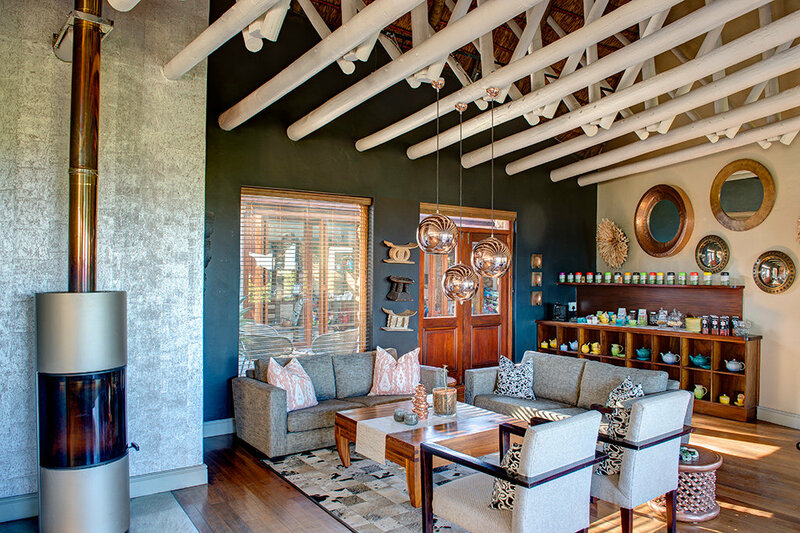 After an action packed day of eco activities, a therapeutic full body massage is absolute bliss, leaving you in a state of perfect calm. For weary feet, a reflexology treatment will most certainly do the trick. 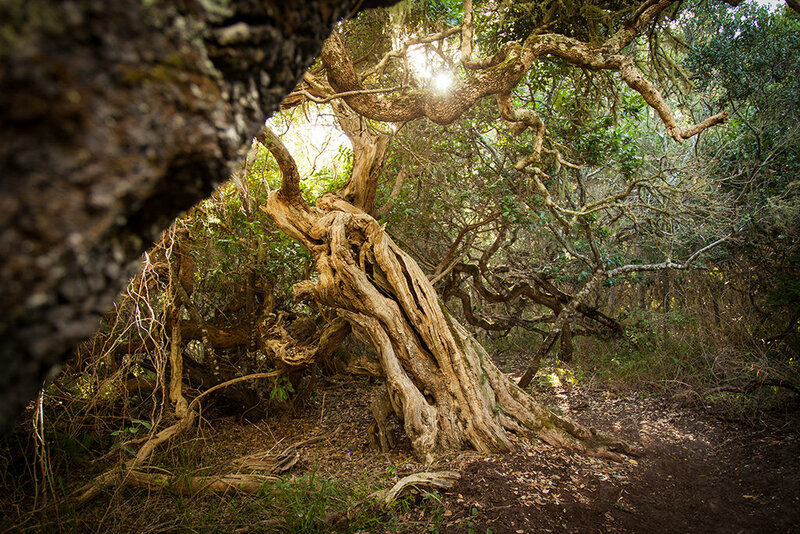 Treatments take place in the comfort of your own suite, in our spa facilities, or even in the forest surrounded by ancient Milkwood trees. 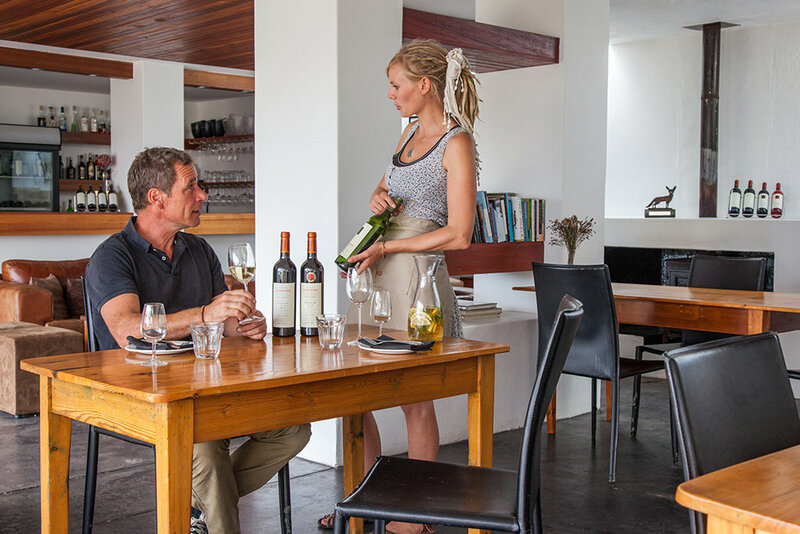 Join Grootbos on a guided wine tour to discover one or two of the local wine pockets and absorb the peace, tranquility and flavours of the Overberg countryside. 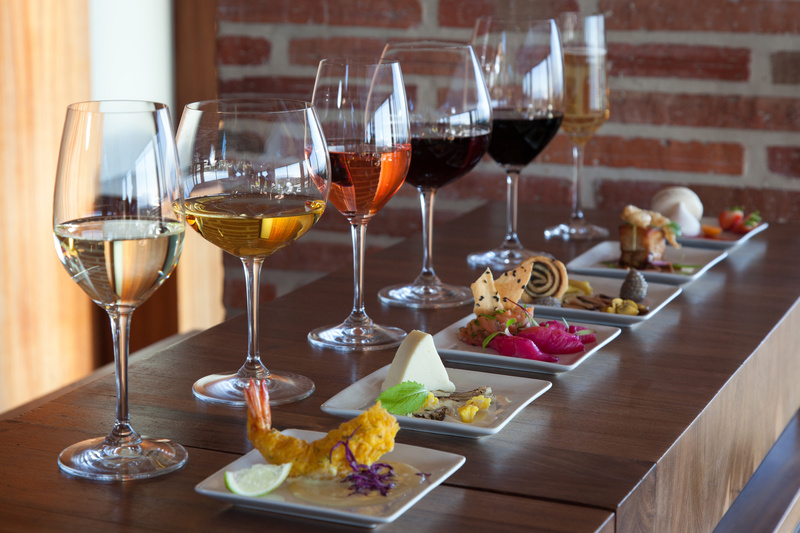 What better way to get to know an area than by tasting its wine and meeting its people? 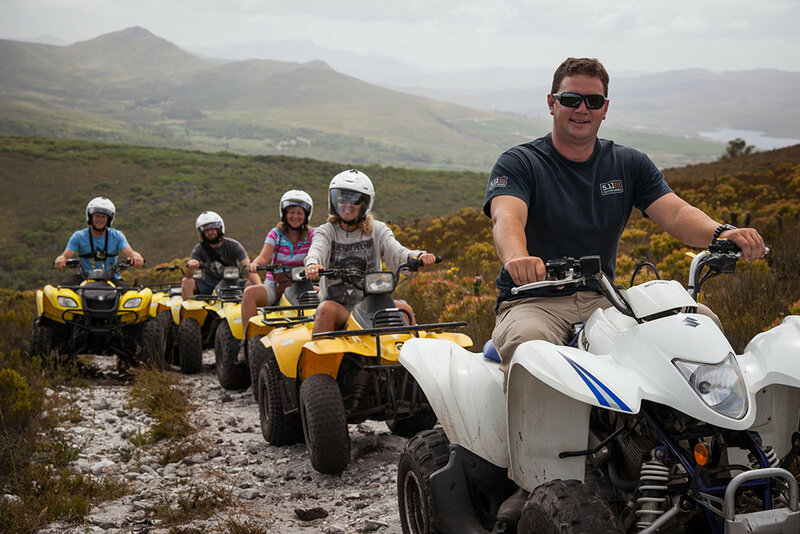 Join an experienced guide on a quad biking adventure through forests, valleys and mountains. 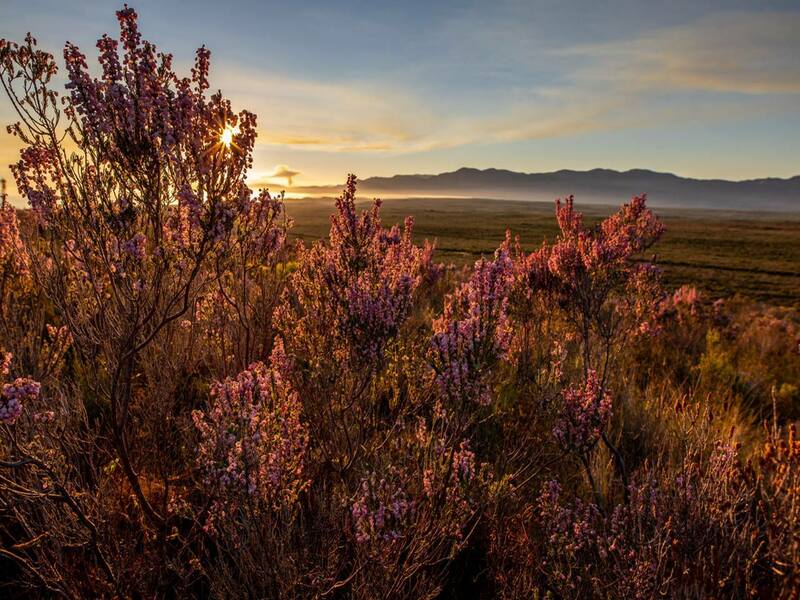 Twist the throttle along designated trails running through the pristine fynbos. 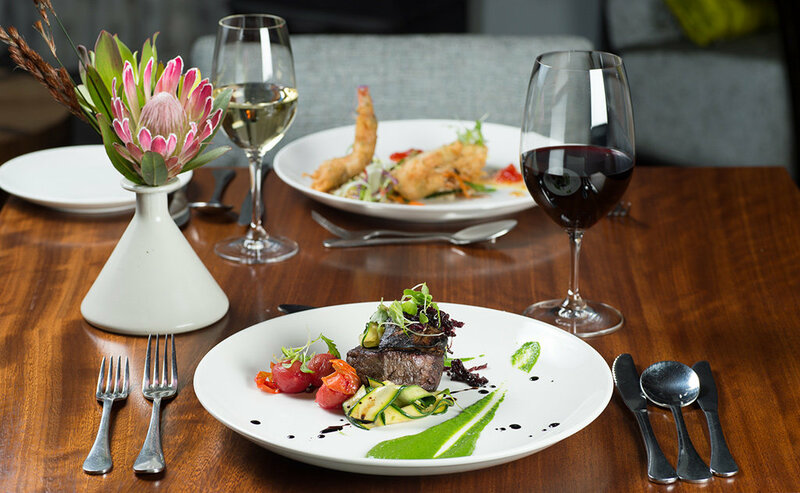 Experience the finest contemporary cuisine in a world-class setting surrounded by exquisite natural beauty. 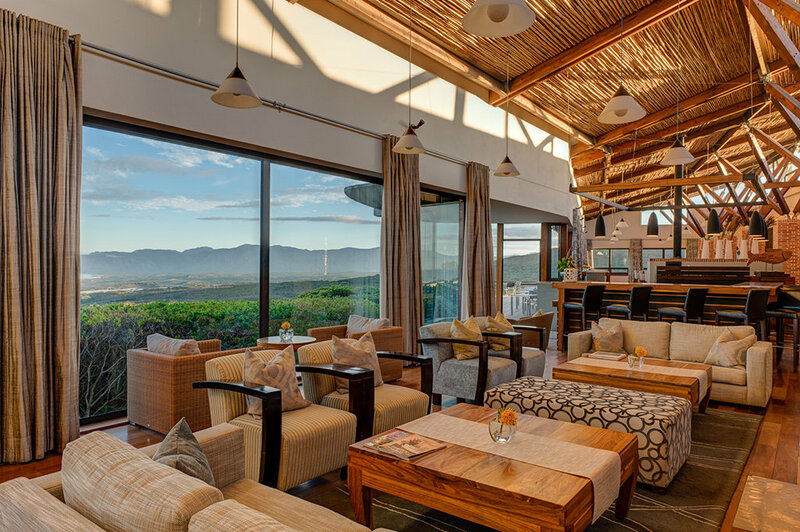 Take in the magnificent panoramic views of Walker Bay and the mountainous planes of pristine fynbos while friendly staff tend to your every culinary desire. And the best part... it's all included in your board. 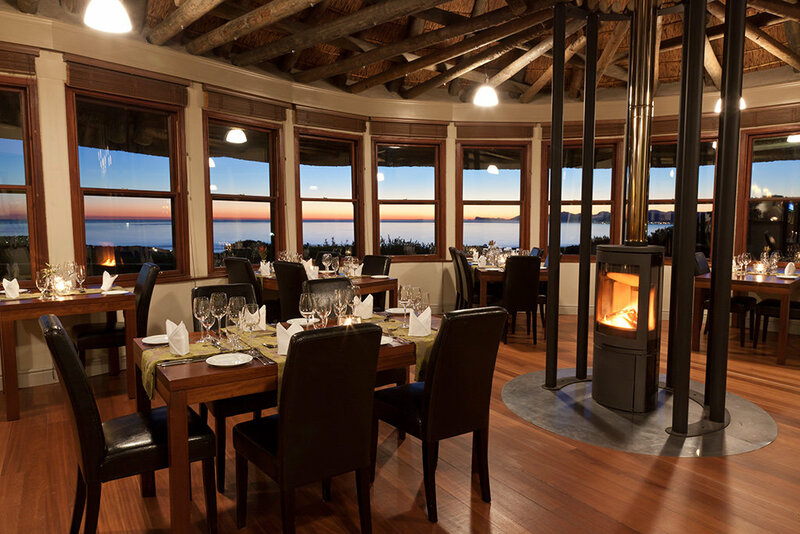 Delight in the seafood bounty of Walker Bay, enjoy extra-matured beef fillet grilled to perfection and taste award winning wines from local cellars that reflect the essence of the landscape and its people. 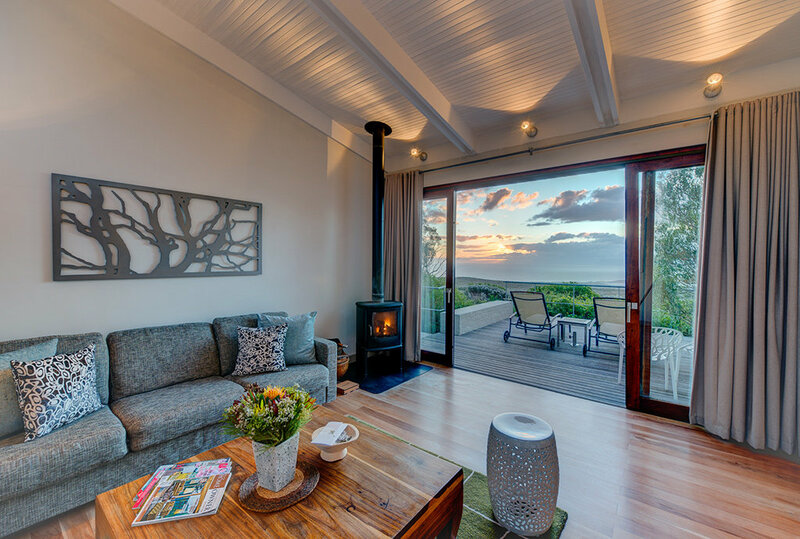 With it's tranquil gardens, meandering walkways and charming ponds, Garden Lodge exudes a warm and welcoming atmosphere that invites you to feel at home. 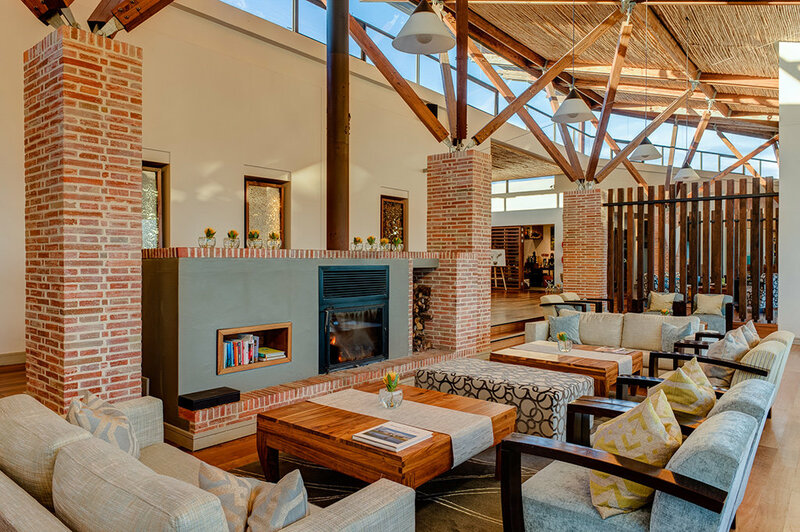 The Forest Lodge is a masterpiece of sophisticated and contemporary design reflecting the breathtaking natural beauty of the surrounding landscape. 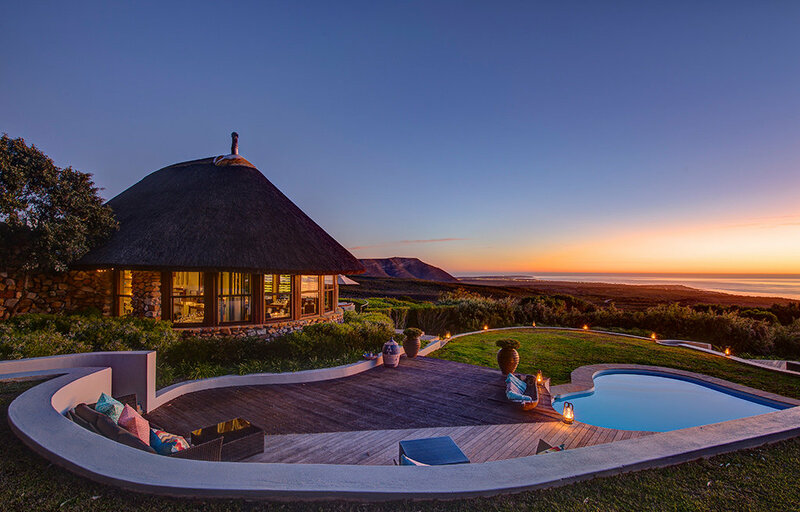 The Villa, consisting of six elegant suites accommodating up to 12 guests, represents the ultimate in luxury and exclusivity. 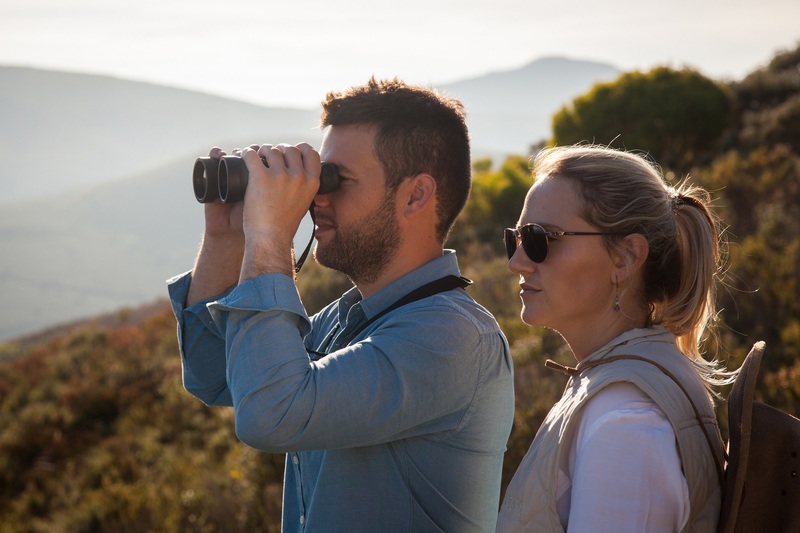 With your own private guide, chef and butler at your beck and call, not to mention complete privacy to enjoy all that Grootbos has to offer, it doesn't get much better than this. 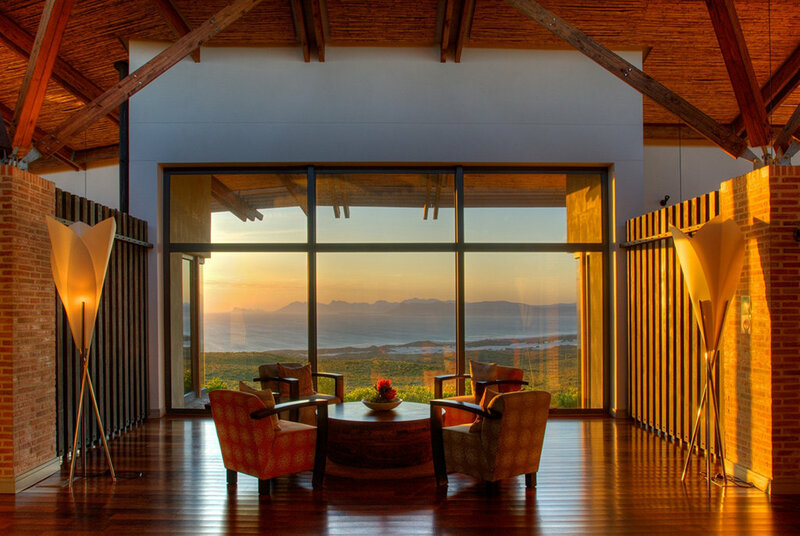 Unforgettable honeymoon memories at Grootbos. Birding is akin to stargazing.